Greeces prime minister hailed North Macedonia as a friendly partner and called on it to join efforts to establish safety, stability, and cooperation in the Balkan region after his parliament approved a measure for it to join the NATO alliance. 'I would like to again welcome North Macedonia, a country that is friendly toward Greece,' Prime Minister Alexis Tsipras told Greek lawmakers on February 8 shortly before they voted on North Macedonia's bid to join NATO. North Macedonia is 'a country that must be a supporter and not an opponent of our efforts to establish safety, stability, and cooperation in the wider region,' he added. The 153-140 vote in favor of the former Yugoslav republic's NATO membership came after the country agreed last year to change its name to North Macedonia and following ratification of the deal by the countries parliaments. Athens asserted that the use of the name Macedonia suggested Skopje had territorial claims to Greece's northern region of Macedonia. With Greece's ratification of the NATO accord, the former Yugoslav republic will now write to the United Nations, its member states, and international organizations, formally announcing the name change. After all NATO members approve the protocol -- a process expected to take a year -- North Macedonia will become an official member of the alliance. The deal was strongly supported by Western nations, with many seeing it as a measure to reduce Russian influence in the country and the region. Moscow has expressed strong opposition to NATO expansion during the alliances move eastward. 'Clearly it is in Greece's interest to promote a European course for all its neighbors, not just for North Macedonia and not [back] the influence of third forces in the neighborhood, with different aspirations and pursuits,' Tsipras said. Negotiations between Greece and Macedonia were protracted and difficult. Nationalist groups in both countries opposed the deal, with many saying it gave up too much to the other side. 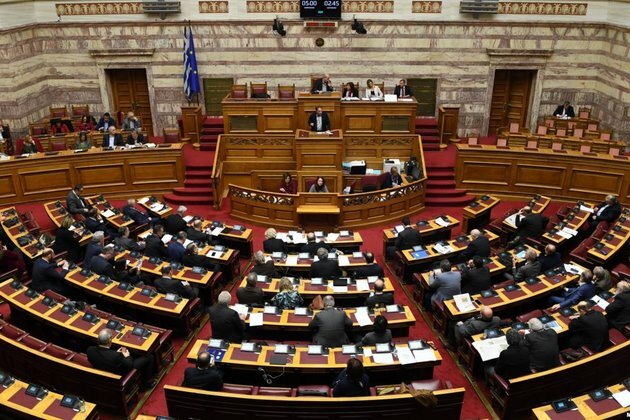 '[We] will vote against the accession protocol because it is, simply, the final act or the final act of a damaging agreement,' conservative opposition leader Kyriakos Mitsotakis told parliament prior to the vote.